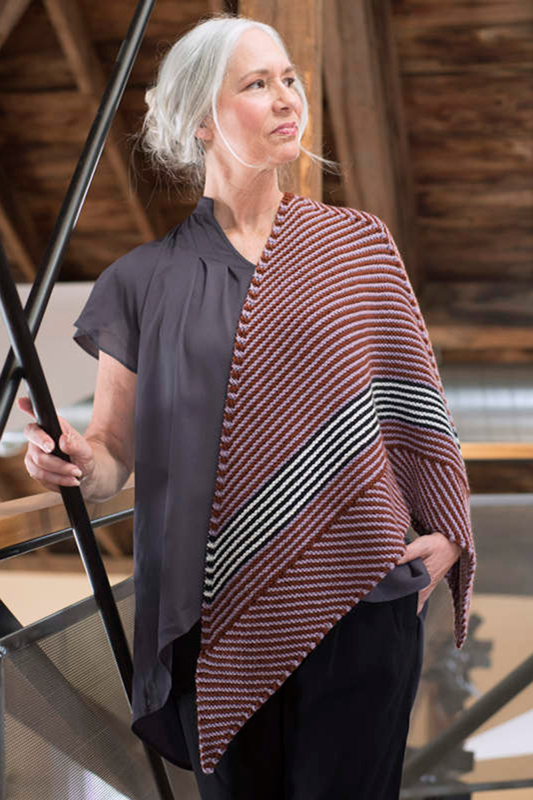 Play with stripes and colors of Berroco Ultra Wool in this large triangular shawl. 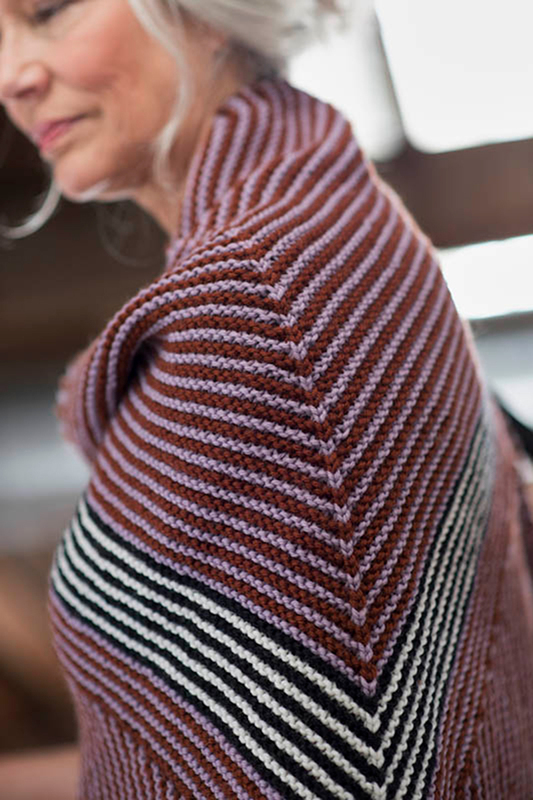 Knitting begins with the bias stripe border, then stitches are picked up and worked toward the center to form the shape. Colors Shown: Berroco Ultra Wool (100 grs): 2 balls each #3344 Fox (C1) and #3314 Lilac (C2), and 1 ball each of #3334 Cast Iron (C3) and #3300 Snow (C4). Finished measurements: Approximately 62" wide x 31" down center. 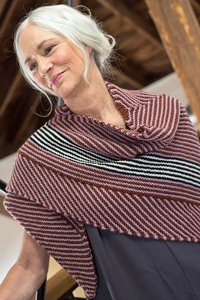 Taiga Hilliard Designs Patterns - Royal Amethyst - PDF DOWNLOAD and Noro Patterns - 12 Fringed Poncho - PDF DOWNLOAD are both similar patterns: 16 (4 sts. / inch) finished gauge, shawls, wraps, ponchos garment, for women, and worsted (19-20 sts/4 in) yarn gauge. Hopefully our suggested yarn options for Ups and Downs Stripe Hat & Mittens - PDF D can help you come up with your next exciting new project idea!